29 attempts for trespassing the barbed wire fence towards Norway and Finland from Murmansk and Karelia and more can come, warns FSB. Norway’s military border guards are constantly monitoring the situation. Russia’s FSB border guard service has issued a warning that migrants might try to cross the state border illegally. The warning was published together with a request to local inhabitants in Pechenga Rayon to be on alert for possible acts of terror due to the large inflow of refugees. Hundreds of migrants are now waiting in Nikel, Russia’s nearest town to the Norwegian border. 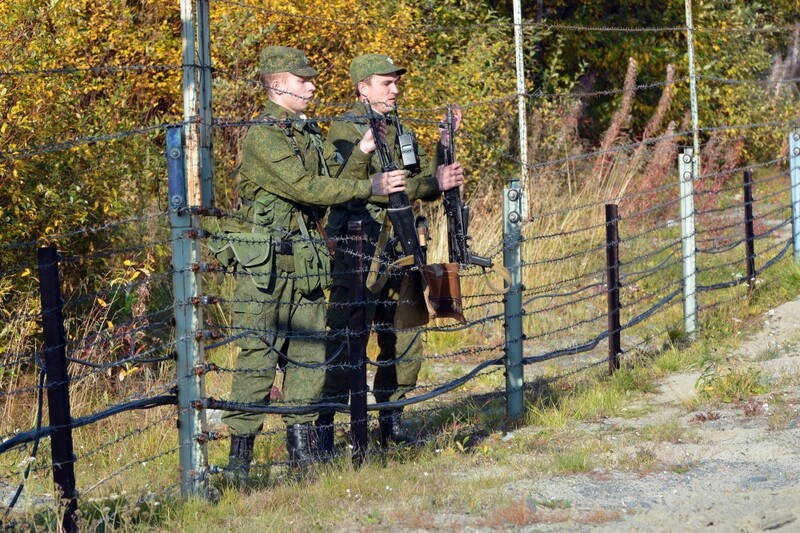 A barbed wire fence stretches all along the Russian side of the 196 kilometre long border to Norway. That fence continues along Russia’s border to Finland further south. On the Norwegian side, there is no fence, but a sophisticated system of watchtowers, cameras, personnel-radars and border guard soldiers on patrol. 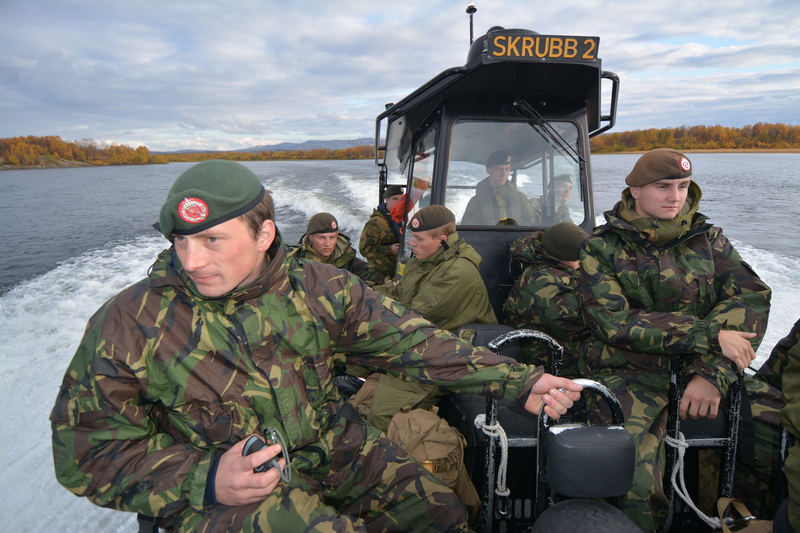 Press spokesman with the Garrison of Sør-Varanger, Second Lieutenant Lars Erik Gausen will not reveal what measures are taken on the Norwegian side. “One of the border guards’ mission is to support the police with prevention, detection and handling of illegal immigration to Norway. As part of that mission, we have always considered the different situations arising. What those considerations involve and what possible measures we take is unfortunate nothing I can comment on in the media,” Lars Erik Gausen says. On Tuesday, FSB border guard informed that 29 people have been arrested so far this year after trying to cross the border illegally to Finland and Norway in the north. The majority, 19 people, were on their way through the terrain in Karelia’s border zone to Finland, Murman.ru reports. Ten others tried to cross the state border from the Kola Peninsula. Since 2004, only three persons have managed not to be detected and arrested by the Russian border guards, two in 2005 and one person in 2012. The last did not only manage to trespass the barbed wire fence, but also to swim over the freezing cold Pasvik River that forms the border between Norway and Russia. Gausen says the Norwegian Border Commissioner is the one talking with the Russian border guards’ service about the current situation. “What information being exchanged at those meetings is nothing I can comment on,” says Gausen. Norway has frozen its bi-lateral military relations with Russia because of Moscow’s military intervention in Eastern Ukraine, but the border guard service is one exception from the freeze. Tuesday set yet another peak record with 196 asylum-seekers entering Norway from Russia in the north, the local police says in a tweet. Since August, nearly 3,000 asylum-seekers from more than 20 countries have crossed the border at Storskog, the only legal border-crossings check-point between the two countries.